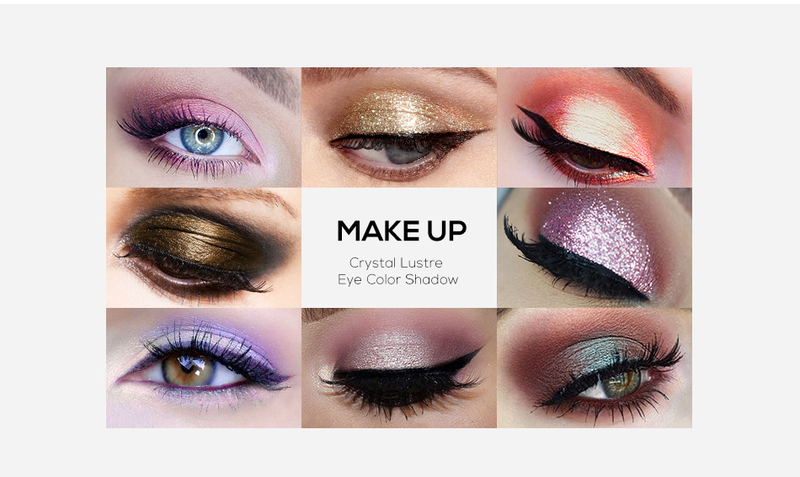 UCANBE Lustre Loose Eyeshadow Powder is made from high quality ingredient powder with special designed. 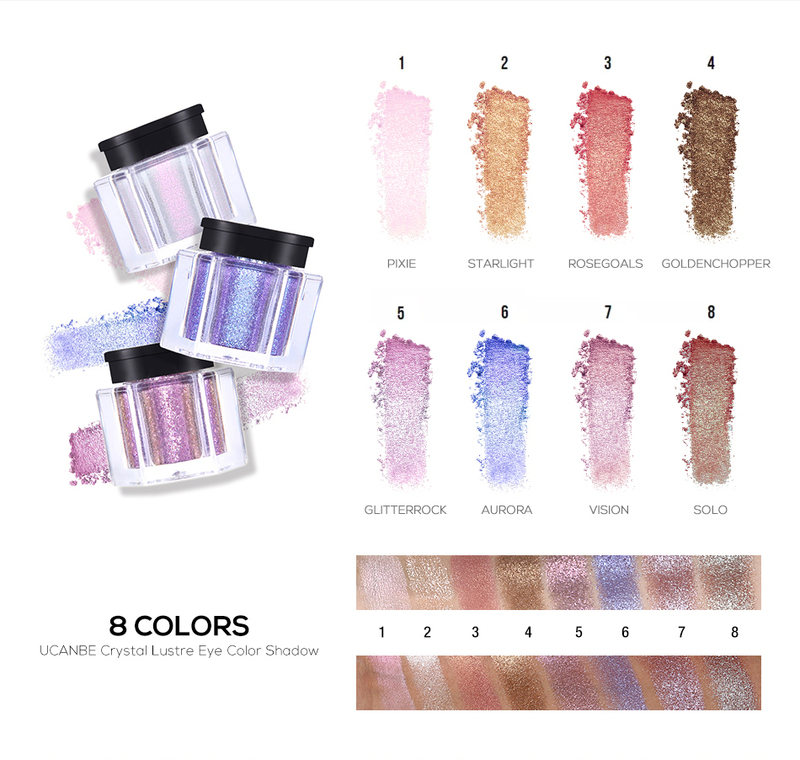 Shimmer and shiny powder formula with chamelon color,trendy diamond shape bottle and rainbow packaging designed. 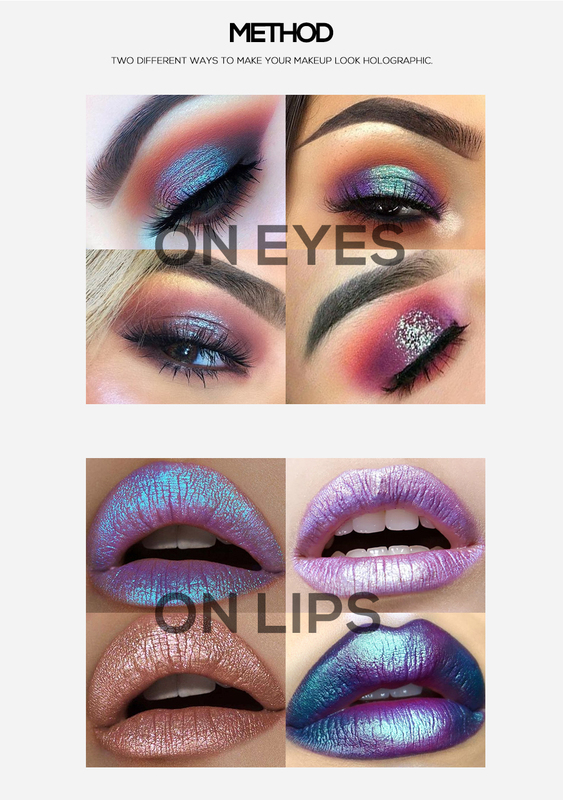 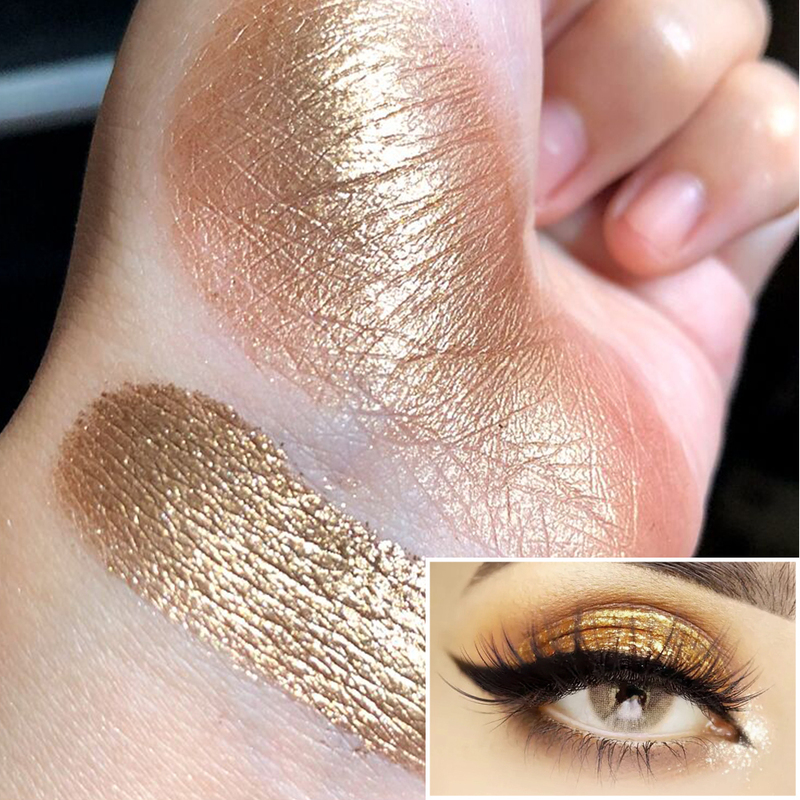 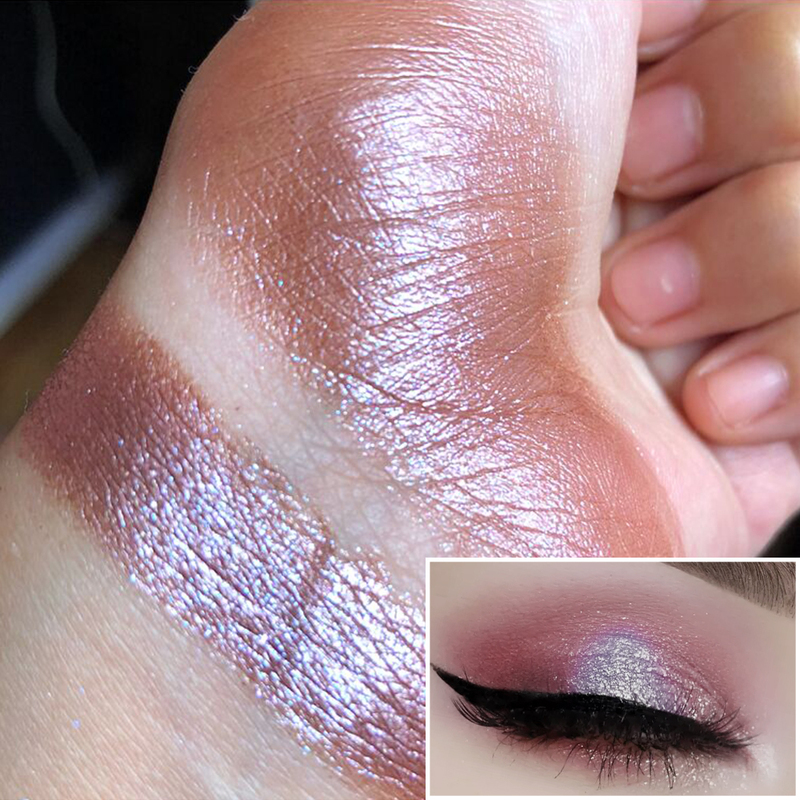 Full color,8 color optional.Easy to create any different style of eye makeup.You can see different color under different light. 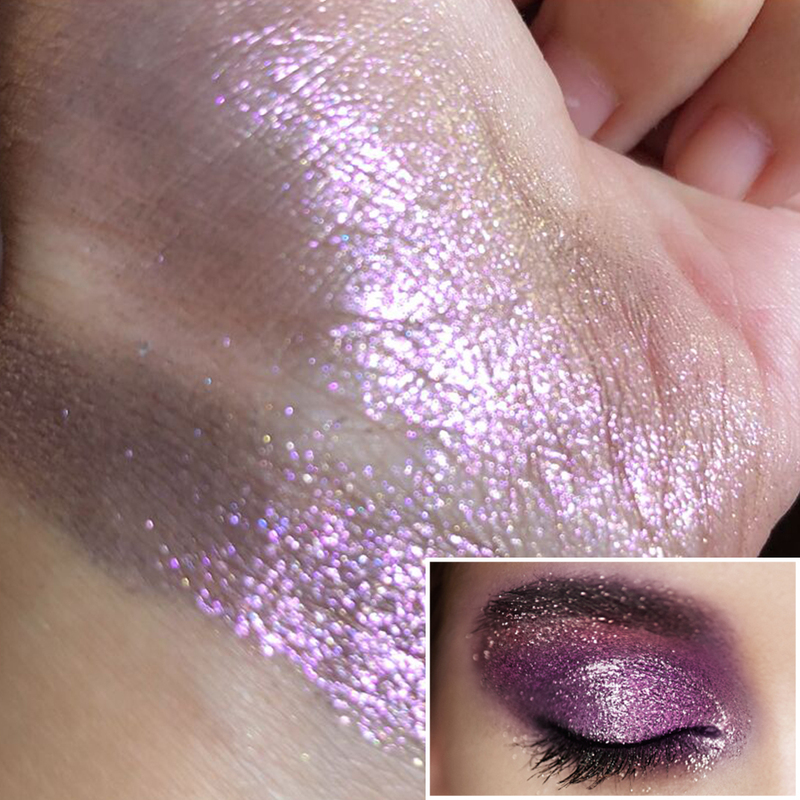 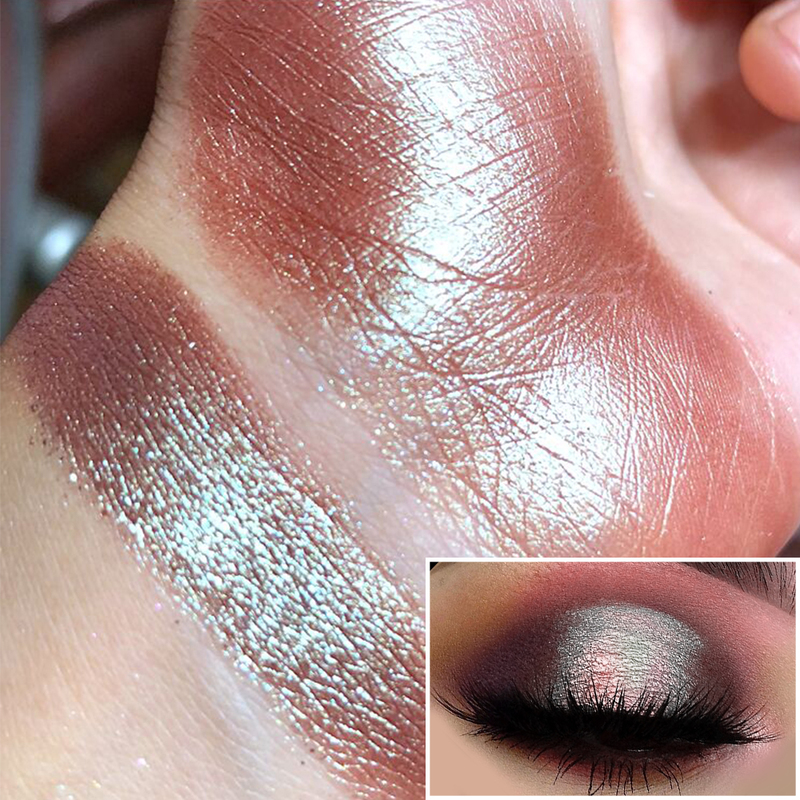 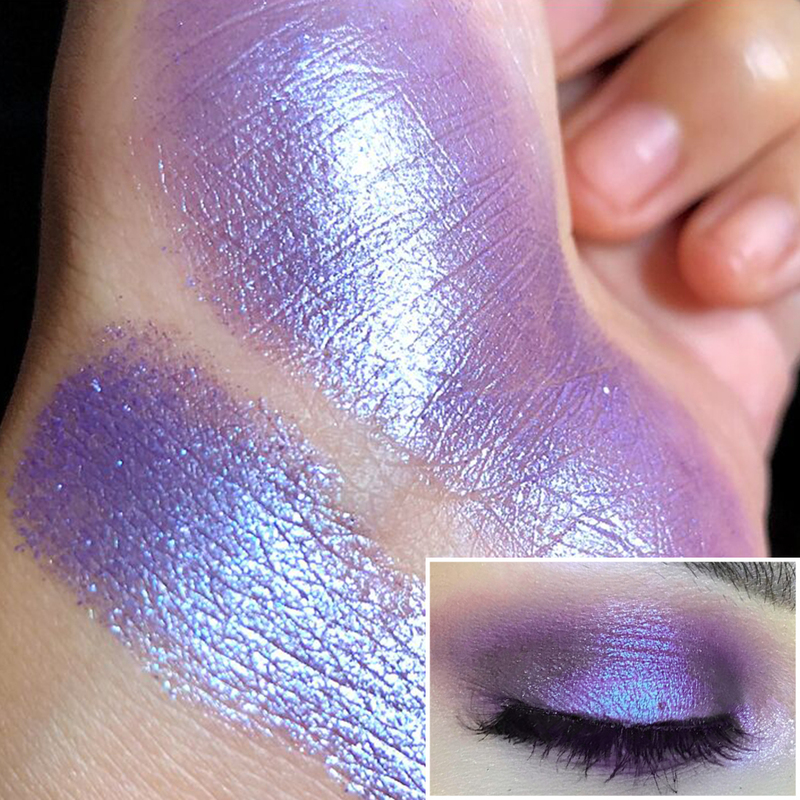 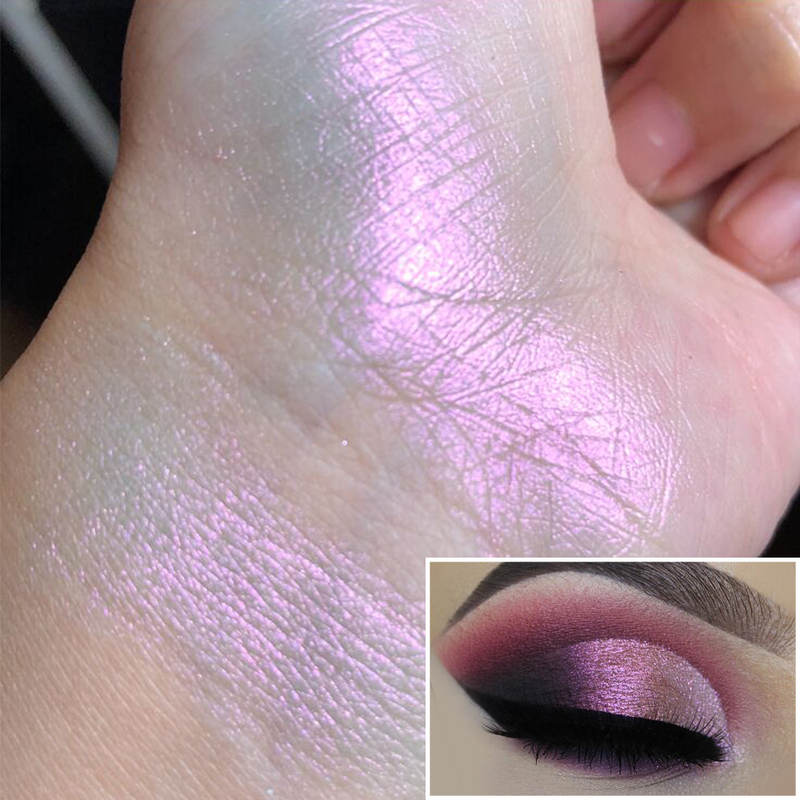 Shiny metal pigmented powder,suit for every occasion,such as music festival,party or date. 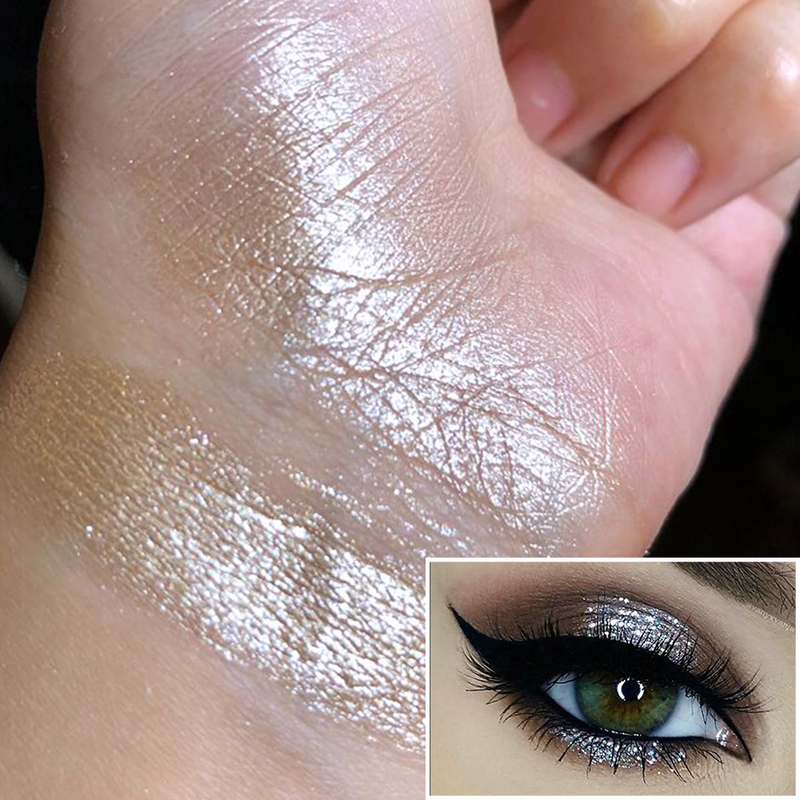 Long lasting and waterproof,it can last all day long. 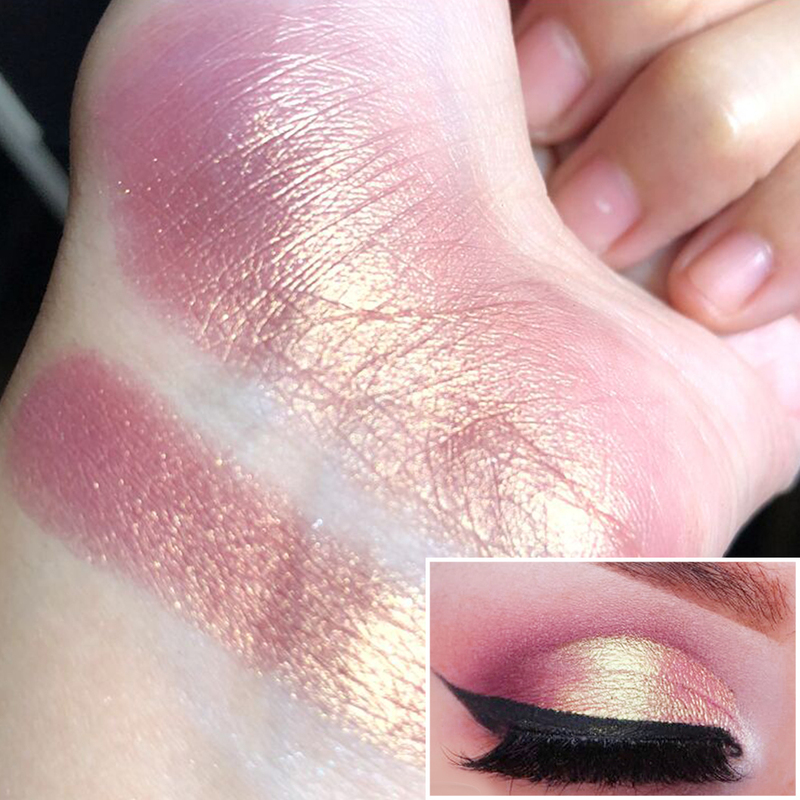 Fortable to use and easy to carry.Anytime,anywhere do your makeup easily.